Flight of The Bumblebees 2107: A Fun Packed Four Hours! The Flight of the Bumblees is sponsored by the Adventure Radio Society each July. 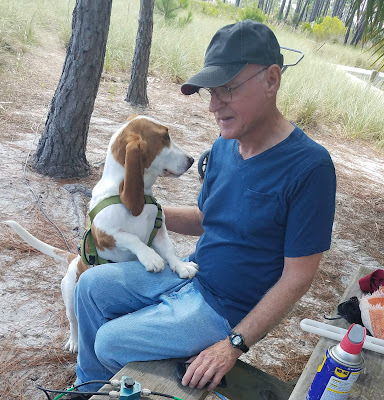 This year brought the most QRP operators I can remember together. At least 122 Bumblebee registered. 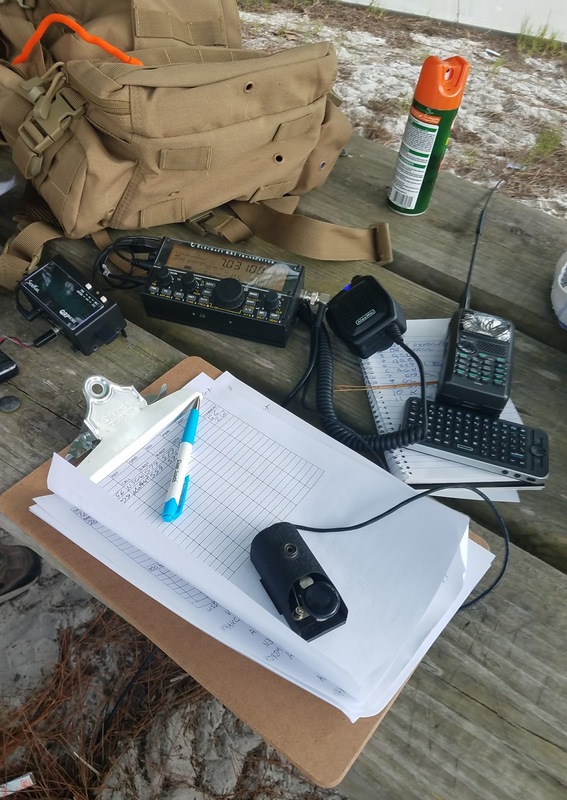 Even with the Solar Cycle in the pits, twenty meters was buzzing with QRP stations. The dipole. It was double this size for 40 meters. I chose St. Andrews State Park this year. I have a favorite picnic table directly on the South shore of Grand Lagoon. I parked the N6BT Bravo 7K vertical setup for twenty meters directly on the shore. This gave me a shot over salt water for most of North America. This year I also had the weather going for me. 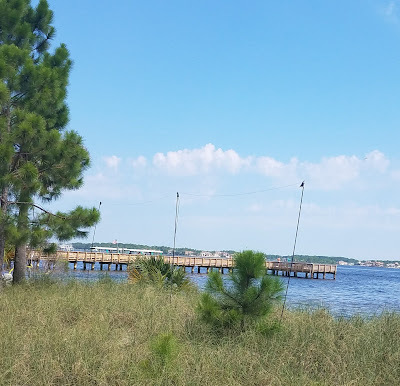 It was partly sunny and hot but the breeze across the water made it tolerable. I also had the assistance of my friend Dennis WA6QKN. I ran the Elecraft KX2 at 5 watts. I used the QRPWorks SideKar with a mini keyboard to generate the CW macros for the KX3. I also used the AlexMic I just received. It had the volume we needed as the boat traffic was very noisy. I actually called CQ for most of the time. It was more productive than my usual hunt and pounce. This was my best FOBB yet. Here is a summary. 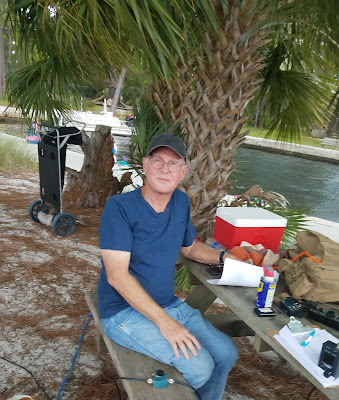 I had contacts from Panama City ARC members including Bob WB4BLX, Jim K4LIX and Jim KW4UT. Dennis WA6QKN had as much fun as I did. 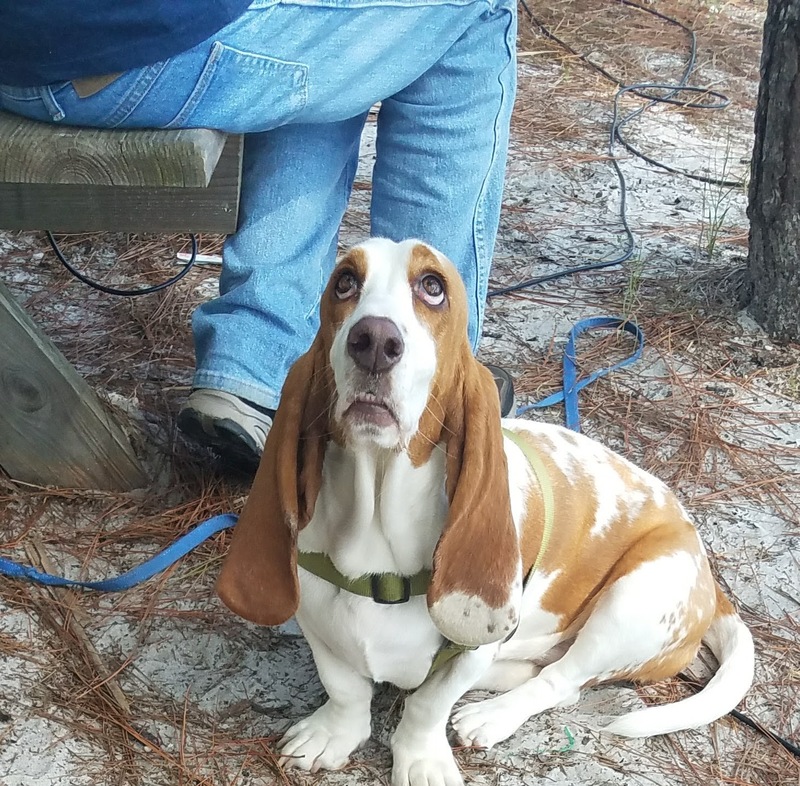 He was assisting with setup, tear down and looking up BBs as we went. The vertical was potent of 20 meters. 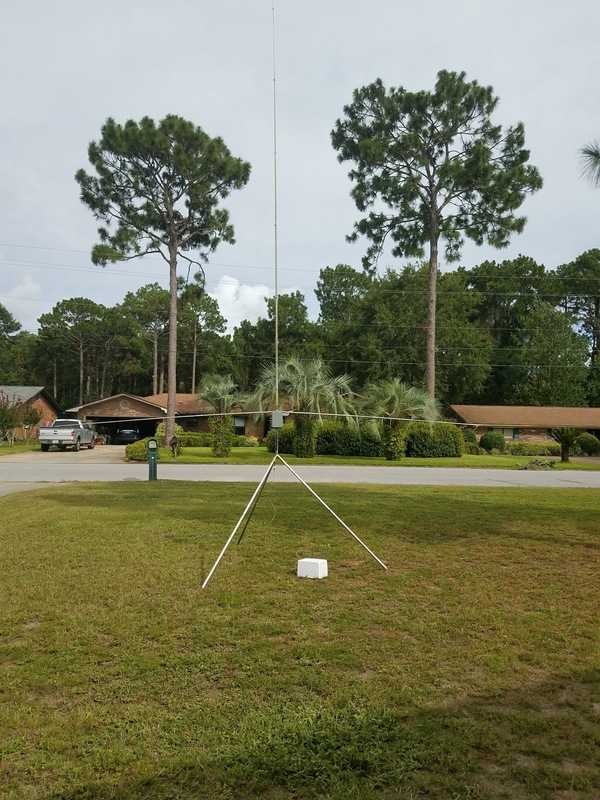 We switched to a 40 meter half wave dipole for 40 meters. So it all came together I am thankful for many great contacts including friends Larry W2LJ, Steve KF5RY and Jim K0RGI. Suzy was a good buddy and had fun too. 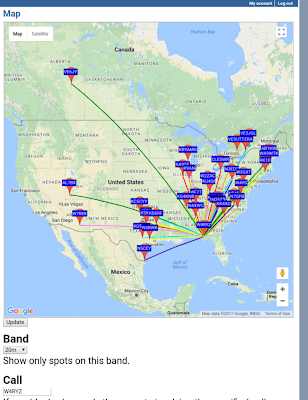 WSPR Comparison: Vertical vs. Dipole. I recently obtained two WSPRlite beacons. My trip to St Andrews State Park Sunday for FOBB 2017 Flight Of The BumbleBees was an opportunity for an antenna comparison using WSPR. I compared a vertical vs. a dipole. The vertical was my N6BT Bravo 7K Vertical located directly on the South shore of Grand Lagoon. Grand Lagoon is salt water. This puts the salt water between the antenna and most of North America. The dipole was a 20-meter dipole about ten feet above the grass near the shore of Grand Lagoon. Dennis WA6QKN and I set up the antennas and hooked up the WSPRLites. 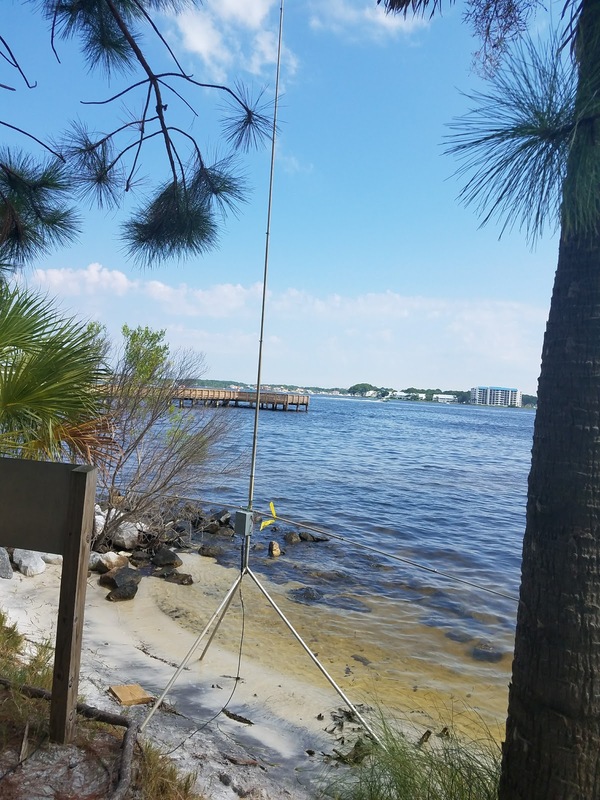 The 20 meters half wave dipole at 10 feet above the grass near the shore. My quick analysis indicates the vertical had the edge over the dipole in distance and total spots. You could have helped the dipole by more height but the ten-foot height is easy with my support poles and requires no trees. In any case, this sets the stage for future experiments including the vertical by the salt water shore vs the vertical located inland. 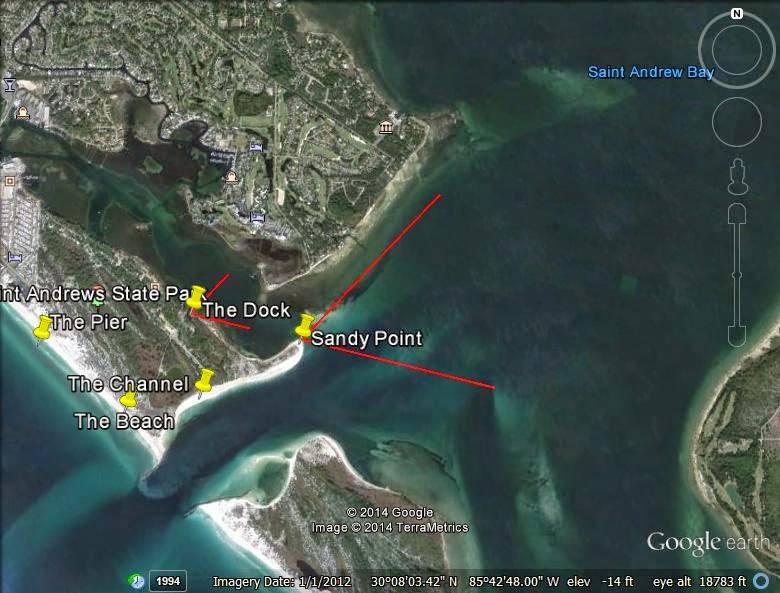 My theory is a vertical on the salt water shore is hard to beat. We will see what the numbers say. By my count, looks like you had 34 simultaneous spots and for 21 of them the vertical showed a 10db or greater advantage. In only 13 instances was the advantage less than 10db and only once did the dipole out performed the vertical. I have wondered if I could gather empirical evidence that operation on the salt water shore is better than inland for vertically polarized antennas. I have lots of opportunities to operate at the salt water shore here in Northwest Florida. I try to have the salt water between myself and the desired contacts. For example, the North Shore at St Andrews State Park basically covers the US and Canada but also Europe and Japan. The theory says the low angle radiation is enhanced at the salt water shore for verticals. DXpeditions often use verticals from their island locations. I have found that on the salt water shore I can hold down the frequency with low power if I am using a vertical. I often get a string going. I also noted a signal increase on a station when I was doing pedestrian mobile as I approached the shoreline. I purchased two SOTAbeams WSPRlite beacons with the idea of doing comparisons of salt water shore locations versus inland locations. 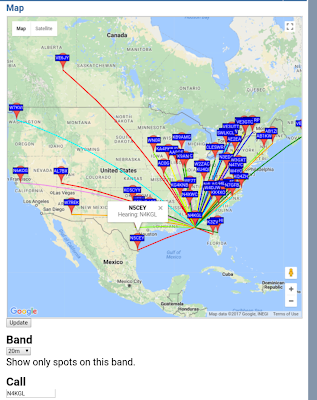 WSPR is Weak Signal Propagation Reporter. You can see WSPR reports on http://wsprnet.org/drupal/. 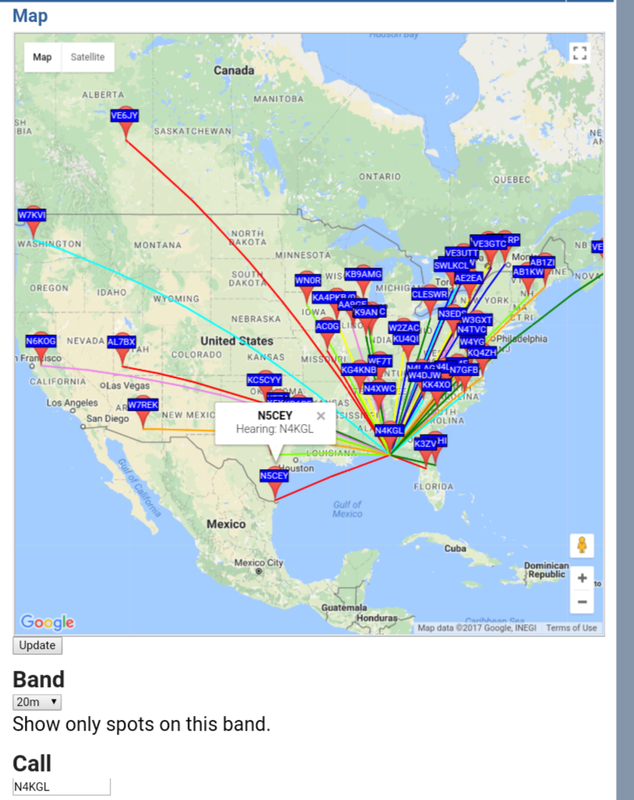 I happen to have two Bravo 7K verticals made by N6BT.com. I could deploy a Bravo 7K with a WSPRlite beacon at two test locations simultaneously. 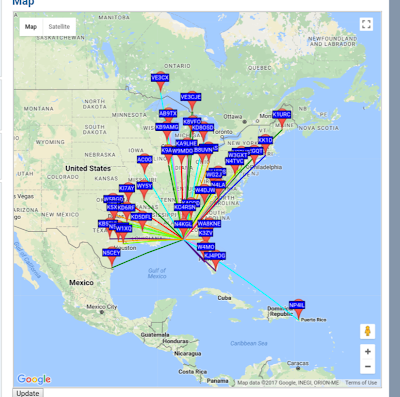 SOTAbeams has a web based tool at DXplorer.net to aid with comparisons. 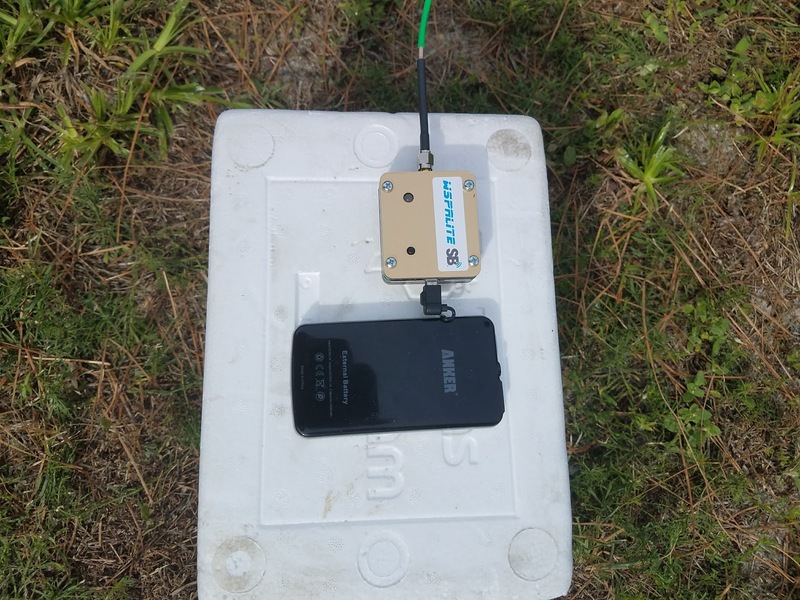 Sunday, I checked out one SOTAbeams WSPRlite beacon running 200 milliwatts on 20 meters in my front yard using a Bravo 7K vertical. I was pleased with the WSPRlite It was easy to configure with my callsign and grid using the computer. To use the WSPRLite I just hooked it up to the antenna, plugged it into a USB power pack and pushed the button on an even minute.I was getting results shortly on WSPRnet. I also tried out DXplorer.net. The Bravo 7k Vertical hooked up to the WSPRlite in tmy front yard. I have realized I will need a second callsign for the second beacon. I ask the club to borrow their call W4RYZ. I can even locate the two antennas/beacons a wavelength or so apart and see if they if their reports agree. 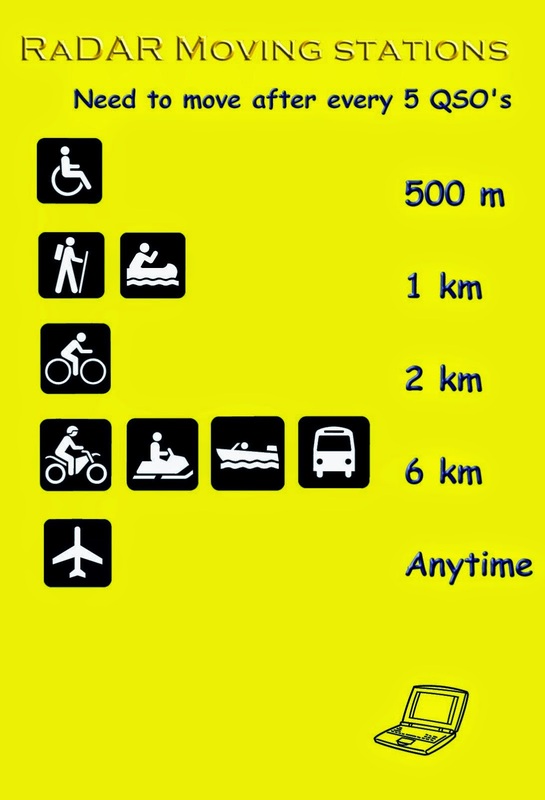 This could be done inland and at the shore. Then I could try one inland and one at the shore. I realize there will be nuances in doing comparisons. We will just see where it goes. It will take some time to pull this off. Check this blog for future reports.This looks like the science fair project I never got to do. They did not have science fair at my school in the old days. Try a QSO Today Podcast! You will be glad you did! 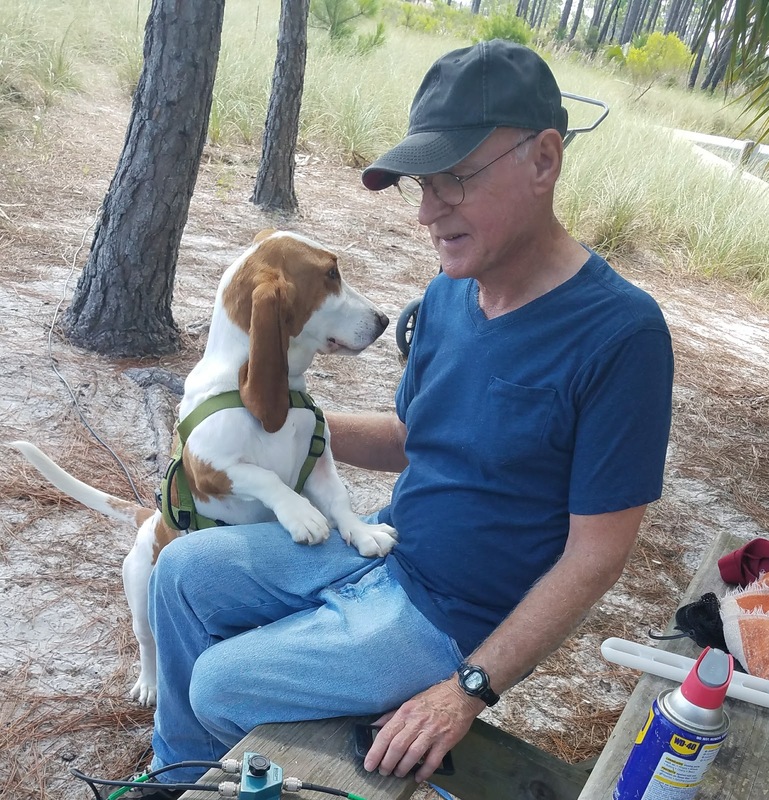 Eric Guth 4Z1UG interviews an interesting ham each week for about an hour. These podcasts have been a source of education and inspiration to me. I am learning that the Ham Radio universe is much larger than I thought. Now I am working my way through the 150+ episodes already in the archives. I recommend these particularly if you are wondering what to do next in the hobby. You can pick these up through iTunes or STITCHER. However, I have been downloading them from the podcast list. I spend at least three hours a week driving, and these podcasts have made the drive enjoyable. 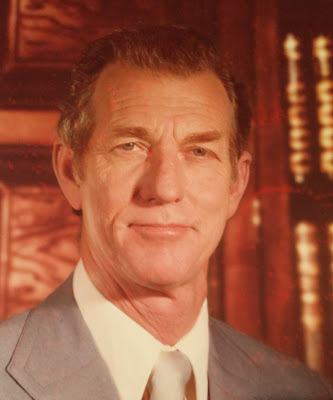 My Dad, Kenneth Lamar Lane, passed on July 12, 2017. He was ninety years of age. The obituary is here. What Dad did for me would take up a book. However, Dad's interest in electronics I can share here. He was not an engineer or even a ham radio operator. His career was at the Post Office. Kenneth Lamar Lane My Dad. 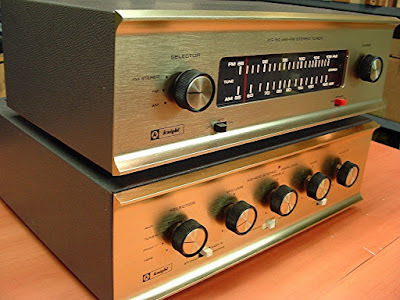 I believe his first foray into kit electronics was the component stereo systems including Knight Kit amplifiers and receivers. He built several of those kits while on vacation at Panama City Beach. Dad sent my Mom and I, to the beach while he built kits in the motel room. I remember that Dad had an FM receiver before the local station in Dothan made its first FM broadcast. We were tuned in for the first one. There was an audio distribution system in the house. There were speakers from one end to the other. Dad built several Heathkit color TVs. These kits made leading edge electronics affordable. We probably had a remote control TV long before the neighbors. 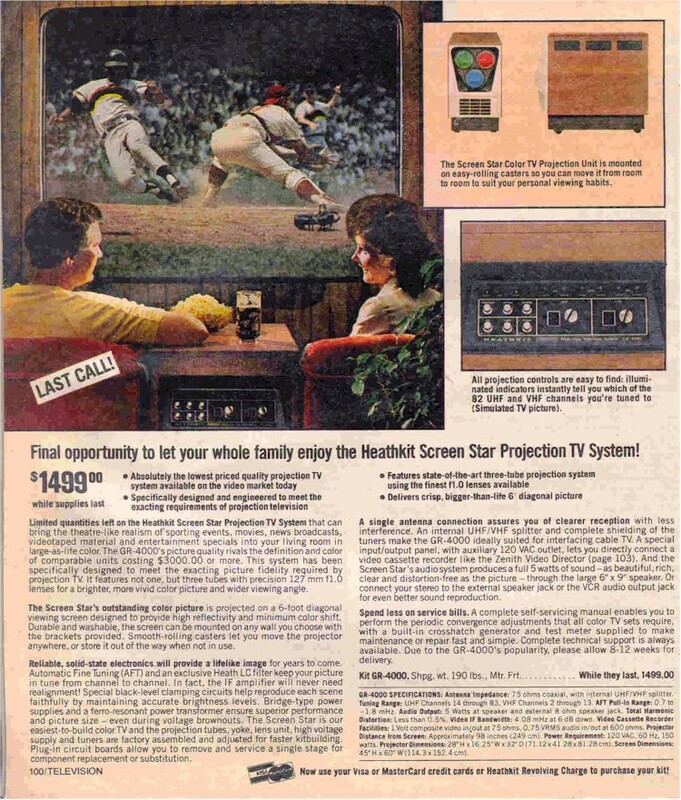 The grandest kit was the Heathkit Projection TV. 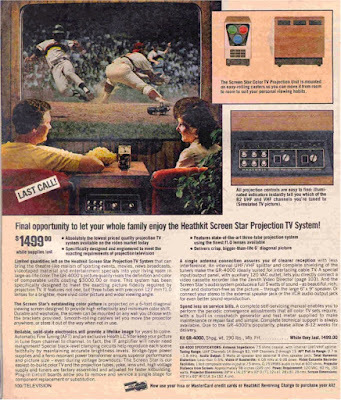 The big screen TV is prevalent now, but it was unusual back then. Dad converted our garage to a den by himself. This became the home of the projection TV. I know I helped out with some of the kit building, but I can't remember which ones. One kit that intrigued me was the Knight Kit AM Wireless Broadcaster. I was broadcasting to radios around the house and tried to foster an audience around the block. The most exciting kit to me was the Knight Kit Star Roamer. The Star Roamer was my ticket to the world. I listened to the BBC, VOA, and Radio Havana. I heard some amateurs I am sure. I also heard the CBers loud and clear. I figured out that some were near by. I rode my bike around the neighborhood and saw the CB antennas in the yards. I came home and said, Dad, I want to be a CBer. Dad said no you don't. 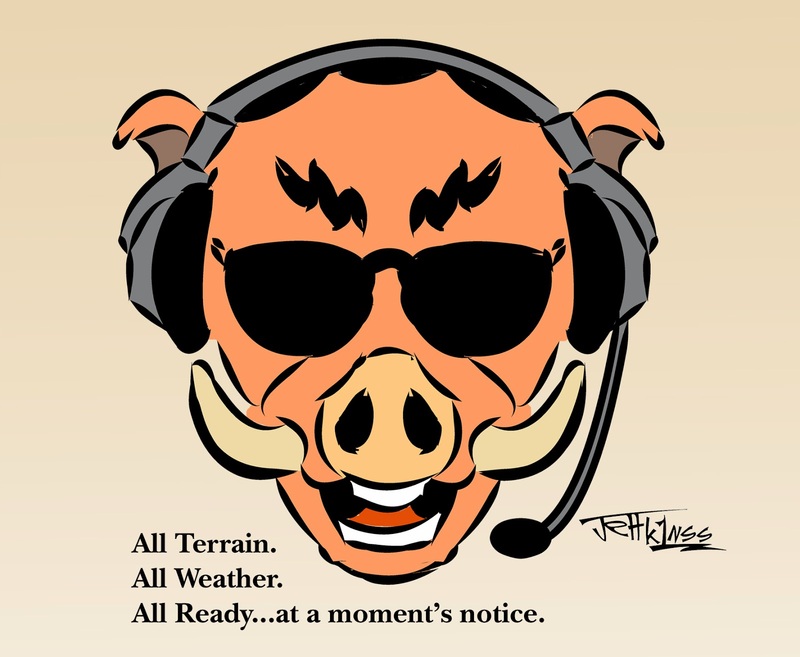 You want to be a ham radio operator. Dad had a fellow employee at the Post Office Doug Snellgrove who was a ham. At one time, he held the call K4DR. Mr. Snellgrove set me on the course for the novice class license. I passed the test at his house when I was twelve. I was not really knowledgeable enough to get a rig on my own. Somehow, Dad decided that the Drake 2C receiver was a good start. We picked one up in Pensacola. Mr Snellgrove loaned me an Hallicrafters HT-6 Transmitter and many crystals. Magically, a HyGain 18-AVQ vertical showed up in the yard. So I was getting lots of behind the scenes help. 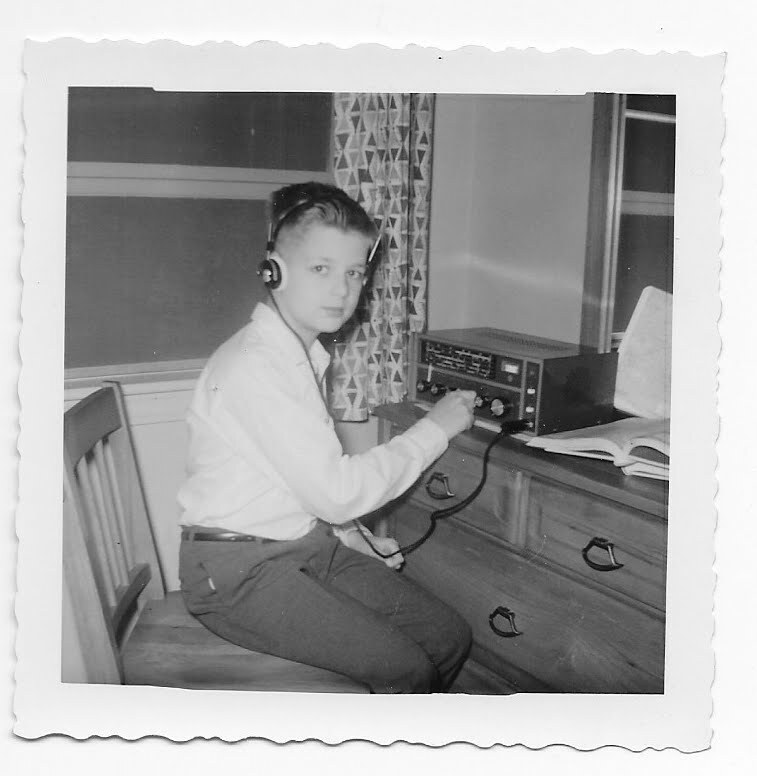 All this ham radio stuff kept me out of trouble during my teen years. It helped me get interested in math and physics at school. I eventually had to decide what my career was going to be. I had an answer Electrical Engineering. 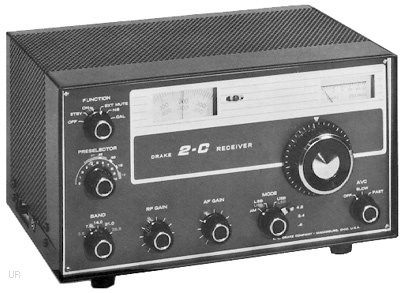 Not that I knew what EE was, but I figured it had something in common with ham radio. I was fortunate my parents sent me to Georgia Tech. I got the degree in four years. Dad's interest in electronics and his support was invaluable in setting a good course for my life. I have been using that degree for 40 years. At the funeral, there were many more remarkable stories about Dad. He was a great role model and always was ready to help friends and relatives with those technical problems.